Your wedding ceremony is a once in a lifetime event! You and your partner will vow your love to one another, and begin your journey to your happily ever after. However, know that you can join your lives together with more then just a kiss! Are you aware of how? Planting a Tree. By planting a tree with your partner during your wedding ceremony, you can allow your love to continue to grow even after your big day. Choose you favorite tree and a lovely pot, and plant yours within it together. Blending of the Wines. If you and your partner are fans of wine, you can choose to highlight a Blending of the Wines ceremony during your nuptials. You and your partner can each choose your favorite wines, and pour them into a vessel together. You can then place it within your home as a constant reminder of your wedding, or even choose to drink it on one of your anniversaries. Painting a Picture. Art is beautiful! So, know that you and your partner can create your own, unique piece during your wedding ceremony. You can each choose your own color palette of paints, along with a lovely canvass, and you can each paint an abstract display together. Wedding unity ceremony traditions certainly are beautiful! These are just a few that you can take part in on your own wedding day. 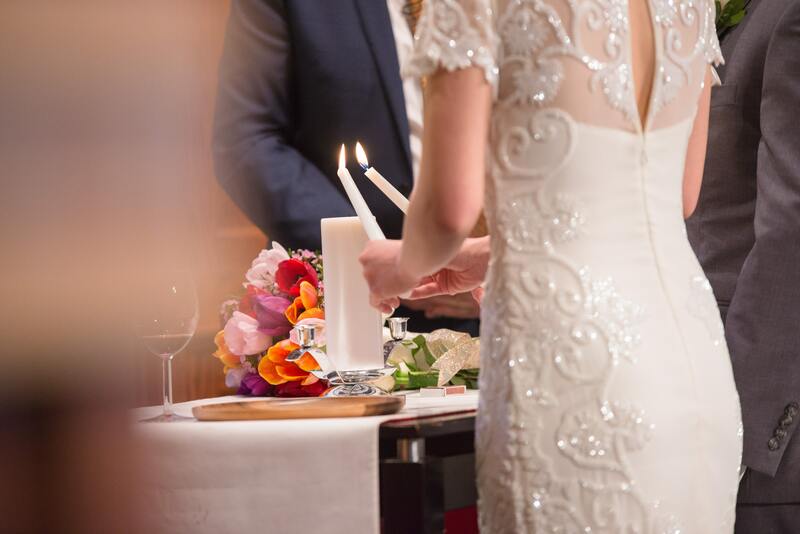 So, if you are seeking a wedding venue in Columbus, Ohio to showcase your own traditions within, please get in touchwith us here at Engaged Columbus! With many gorgeous venues to choose from, such as Clock Tower and Banquet Center, we would be honored to assist you with selecting yours.